The Torah commands in three places that one should “rejoice” on Yom Tov. Regarding Shavuot, the Torah says, “And you shall rejoice before the Lord your God” (Deut. 16:11), and the Torah mentions the obligation to rejoice twice in the context of Sukkot (Deut. 16:14–15). The Rishonim offer different suggestions for the source of the obligation of simḥa on Pesaḥ. How does one fulfill this mitzvah of “simḥa,” does this mitzvah apply nowadays, and more importantly, what is the nature of this commandment? This passage similarly describes how one may fulfill the mitzva of simḥa through drinking wine and buying gifts for one’s spouse. Even though the simḥa mentioned here refers to the korban shelamim, as we explain in Hilkhot Ḥagigah, included in this simḥa is to make his children and members of one’s household joyous, each one according to his means. How? For children, one gives roasted kernels and walnuts and candies. For women, one buys clothing and pleasant jewelry based on what one can afford. And men eat meat and drink wine, for simḥa is only with meat and wine. It seems to me that since the mitzva of simḥa that we were commanded to fulfill on the festival is not a specific mitzva, but rather a general mitzva that one is obligated to be happy on Yom Tov in all ways that he is able to rejoice, it is not similar to other mitzvot, regarding which all people are equal – the rich person should not increase and the poor person should not reduce. For this simḥa, each and every person is obligated to rejoice according to his means. Rabbi Soloveitchik explained that in Rambam’s view, the mitzva of simḥa is fundamentally an internal experience, which is achieved in numerous ways. According to R. Eliezer, one may choose how to spend his time, but R. Yehoshua argues that one must divide his time between personal and spiritual enjoyment (ḥetzyo lashem veḥetzyo lakhem). The halakha follows R. Yehoshua’s opinion. In the morning, the entire people should get up and attend the synagogues and the houses of study, where they pray and read a portion of the Torah pertaining to the holiday. Afterward, they should return home and eat. Then they should go to the house of study, where they read and review until noon. After noon, they should recite the afternoon service and return home to eat and drink for Remainder of the day until nightfall. Although Rambam implies that “ḥetzyo lashem veḥetzyo lakhem” applies to Ḥol HaMoed as well, Tur limits this principle to Yom Tov itself and he writes simply that one should divide his time between his personal (lakhem) and spiritual (lashem) activities. He implies that one must simply spend a significant or meaningful portion of the day on each type activity. The Shulḥan Arukh cites Tur and omits the Yom Tov program described by Rambam. Some Aḥaronim cite Maharshal (Ḥullin 1:50), who criticizes ḥazanim who unnecessarily lengthen the service since their singing is not to be considered a fulfillment of “lakhem”! Ultimately, one who rejoices alone, or only with one’s family, to the exclusion of others, is engaged in the “rejoicing of his gut” (simḥat kereiso), and not fully fulfilling the obligation of simḥat Yom Tov. See Pesaḥim 108b and Tosafot, s.v. yedei yayin; see also Yere’im 227 and Tosafot, Ḥagigah 8a, s.v. vesamaḥta. Tosafot Mo’ed Katan 14b, s.v. aseh deyaḥid. 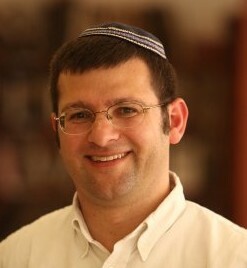 See Rabbi Aryeh Pomeronchek, Emek Berakha, p. 108. Shiurim LeZekher Abba Mari, vol. 2. See also UVikashtem MiSham, ft. 19 (pp. 210–11). See, for example, Magen Avraham 569, and Mishna Berura 529:1.